The Irish Property Owner's Association issued two press releases in January. The second one on the 30th January caught the attention of The Irish Times property section on Thursday because as they put it the association has invented a new verb "to taxsault"
Here is the Press release "LANDLORDS “TAXSAULTED” BY GOVERNMENT - The Irish Property Owners Association (IPOA) have accused the Government of what they call “taxsault” – assault by taxation. An IPOA analysis of Oireachtas Members from the last available Register of Interests (2011) showed that in the Dáil, there are 50 private landlords out of 165 Members (one vacancy) which represents 31% of Members. Broken down, there are 30 in Fine Gael (including 8 Ministers), 5 in Labour (including 1 Minister), 9 in Fianna Fail, and 6 Independents. In the Seanad, there are 21 out of 60 Members, representing 35% which breaks down into 7 Fine Gael, 3 Labour, 7 Fianna Fail and 4 Independents." 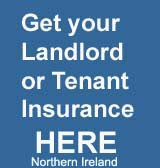 "LANDLORDS WELCOME TAX DEDUCTIBLE PROPERTY TAX - The Irish Property Owners Association (IPOA) welcomed clarification from the Minister for Finance that the Local Property Tax, due to apply from the summer, will be a tax deductible expense from rental income. It is a great shame that the Government is not stating in legislation that tenants must pay for water, property tax etc as they do in countries like France and the UK and in the event of the landlord having to pay these taxes and charges the landlord gets full tax relief as an expense. If the landlord has to end up paying for water, it could cost the landlord a small fortune particularly as this service is on meter and tenants knowing that the landlord is paying might just leave the tap turned on unlike when he or she is paying for gas and electricity.